Noel is a passionate educator, striking a balance between physicality and artistry in each lesson she offers. With more than a decade of teaching experience in a variety of dance styles, she crafts engaging classes for dancers of all ages and abilities. She enjoys working with a team of talented teachers who have propelled their students on to collegiate and professional careers in dance. Her students have continued their studies at intensive programs with the Boston Ballet, Alvin Ailey, Joffrey Ballet and the Hartt School. Others have gone on to Arizona State University, Pace University, and Wagner College. As adjunct Faculty at Elms College, Noel brings dance to campus through a variety of courses. 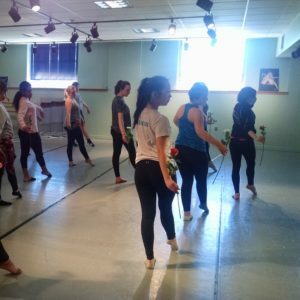 Classes offered introduce new dancers to the fundamentals of technique and movement while challenging the experienced dancer to think critically about dance history and aesthetic. Through her coaching of the EC Dance Team, Noel offers more intensive dance training. 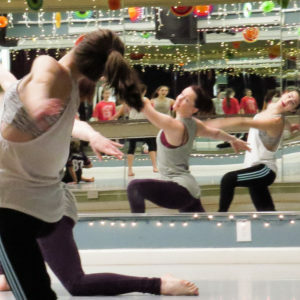 Dance Team members experience weekly classes in body conditioning, jazz, contemporary and hip hop while preparing for performances and competitions. Noel is also available for Guest Teaching and Choreographic Residencies. 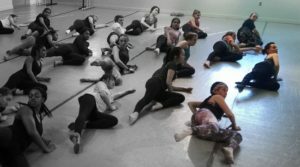 She has enjoyed educating dancers at the Southern VT Dance Festival, Jose Mateo’s Dance for World Community, and The Williston Northampton School, among others. Private and semi-private lessons, audition prep, and choreography scheduled by appointment.